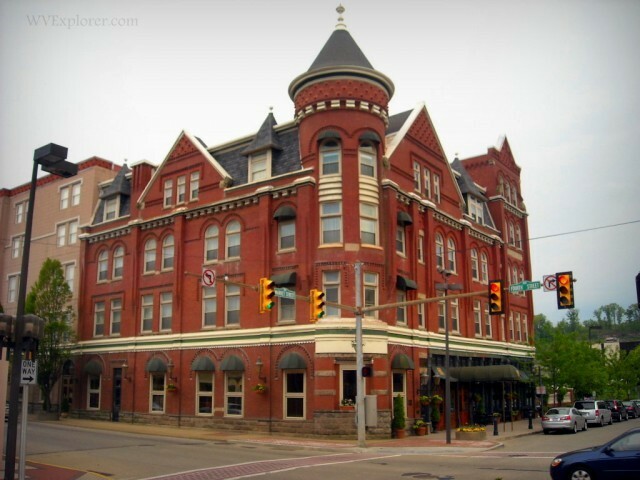 Parkersburg, West Virginia plays host to the beautiful Blennerhassett Hotel, a reportedly factually haunted location that was built back in 1880 by William Chancellor, a Wealthy local businessman. The Queen anne style building was listed as a historic location in 1982. It originally had 50 guest rooms spread out on four floors, with the fifth floor being home to the kitchens, with the first national bank of parkersburg taking up part of the first level. Chancellor named it for Harman and Margaret Blennerhassett, who had owned a beautiful mansion on a nearby island 100 years before. They settled there in their home in 1798, and their palladian mansion was nestled into a european style estate they created out of the resident land. Their property was the envy of everyone in the area, and of course, with that usually comes trouble. They didn’t rise to national fame, however, until they allowed Aaron Burr, the former vice president, to use their island as a base of operations for a controversial military exhibition. When things went awry, and their island was invaded by opposing militia, they were forced to flee down the river to escape, leaving their home behind. While this may be only natural, as it is over a hundred years old, there are some pretty consistent reports and even some documented happenings that back up the reports. Several spirits are said to haunt the old hotel, but the most well known is believed to be the owner himself. The spirit shows itself as an older gentleman in an older, three piece grey suit. People who have seen him say his hair and beard are slicked back, and that sometimes he wears a top hat and a cane. The spirit is said to look as solid as any living person- until he disappears. William is generally non confrontational, and is often observed as no more than cigar smoke. He is most commonly seen in the library and on the second floor. Some people argue that the grey man and william are two separate entities, and insist that the cigar smoke comes from another entity. If this is true, then perhaps William and the Grey man have simply become friends over the years, and prefer to spend their time together. It is almost impossible to tell. In addition, it is possible that with the building’s ventilation system brings smoke up from the smoking area or down from the kitchens to spread in different places throughout the building. Like any old building, it’s subject to its own quirks and faults. 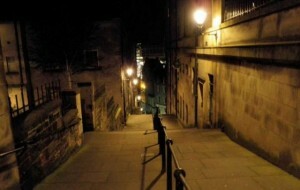 Other spirits are said to frequent the second floor as well, in the form of small children. They are said to play tag and hide and seek most hours of the day and night. At least one boy and one girl have been observed there, and some of the staff say they hear people whistling as if someone was trying to get their attention, only to find that no one is there when they go to look. Up in the kitchen, there is another child, a boy who is said to look like a turn of the century paper boy. He is usually there, pulling at the cook’s sleeves or moving things around when they are trying to cook. He is also seen hanging around on the lower levels near the elevators. Some people think he’s a member of the group from the second floor who simply prefers to pester the living. One visitor says that years ago, as a child, she visited and stayed on the second floor. Sometime during the night, she suddenly heard a child giggling behind the wall. This would not have been unusual, but the voice moved- all the way up to the ceiling, across it, and down to the other side. Her parents told her to go to sleep and ignore it. It was only the next day that she found out how much it had unnerved the rest of the family- they switched hotels. There is another mischievous one, known as the 4 o'clock knocker, who is said to knock on the coffee bar door at 4 AM. Unfortunately, this isn’t the only time it happens. It can happen at any time of the day, and is said to happen more often in the afternoon, suggesting a completely explainable cause, like air currents or the settling building. Even more likely, it could be caused by people walking on the floor directly above the door. It is also said that there is a never ending party in the hotel. The Charleston Ballroom plays host to the ghostly party, which may be caused by one spirit or many. The only one that has been seen is a man in a white tuxedo who seems to like the mirrors that line the hallways near the ballroom. Every time the party is heard, usually by music, laughter, and people talking, the ball room is empty and quiet when people try to investigate. One visitor insists that one day, upon boarding the elevator, she was joined by a tall woman in an old fashioned but beautiful dress. The woman did not talk to her, and left the elevator at the second floor. It is said that the elevators often stop at random floors and open the doors without anyone asking them to, but it is also worth saying that they are very, very old. The elevators are so slow, for example, that most people tend to take the stairs rather than wait for them to come up or down to where they are. Another visitor complains that the elevators are simply faulty, and that she became stuck inside one while it went up and down and would not open its doors. These days, the downstairs bank is the games room, and the hotel is a beautiful venue commonly used for weddings and the like.